Wayne State University Press, 9780814341049, 248pp. 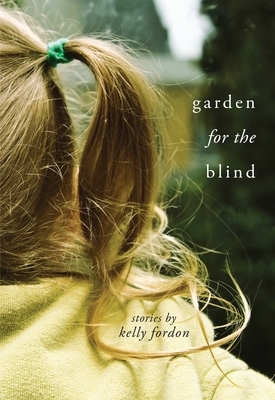 In Garden for the Blind, trouble lurks just outside the door for Kelly Fordon's diverse yet interdependent characters. As a young girl growing up in an affluent suburb bordering Detroit, Alice Townley witnesses a tragic accident at her parents' lavish party. In the years that follow, Alice is left mostly in the care of the household staff, free to forge friendships with other pampered and damaged teens. When she and her friend Mike decide to pin a crime on another student at their exclusive high school, the consequences will reverberate for years to come. Set between 1974 and 2012, Fordon's intricately woven stories follow Alice and Mike through high school, college, and into middle age, but also skillfully incorporate stories of their friends, family, acquaintances, and even strangers who are touched by the same themes of privilege, folly, neglect, and resilience. A WWII veteran sleepwalks out of his home at night, led by vivid flashbacks. A Buddhist monk is assaulted by a robber while seated in meditation. A teenaged girl is shot walking home from the corner store with a friend. A lifelong teacher of blind children is targeted by vandals at the school she founded. Garden for the Blind visits suburban and working-class homes, hidden sanctuaries and dangerous neighborhoods, illustrating the connections between settings and relationships (whether close or distant) and the strange motivations that keep us moving forward. All readers of fiction will enjoy the nimble unfolding of Fordon's narrative in this collection. Prior to writing fiction and poetry, Kelly Fordon worked at the NPR member station in Detroit and for National Geographic magazine. Her fiction, poetry, and book reviews have appeared in The Boston Review, The Florida Review, Flashquake, The Kenyon Review, and various other journals. She is the author of two poetry chapbooks, On the Street Where We Live, which won the 2011 Standing Rock Chapbook Contest, and Tell Me When It Starts to Hurt, which was published by Kattywompus Press in 2013. She received her MFA in fiction writing from Queens University of Charlotte and works for InsideOut Literary Arts in Detroit as a writer-in-residence.